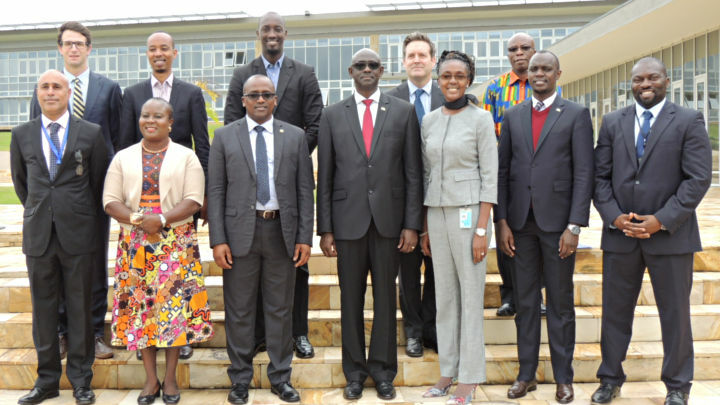 The International Residual Mechanism for Criminal Tribunals (Mechanism) received a visit from the Minister of Justice and Attorney General of the Republic of Rwanda, His Excellency Johnston Busingye, at the premises of the Mechanism’s Arusha branch on Wednesday, 9 May 2018. 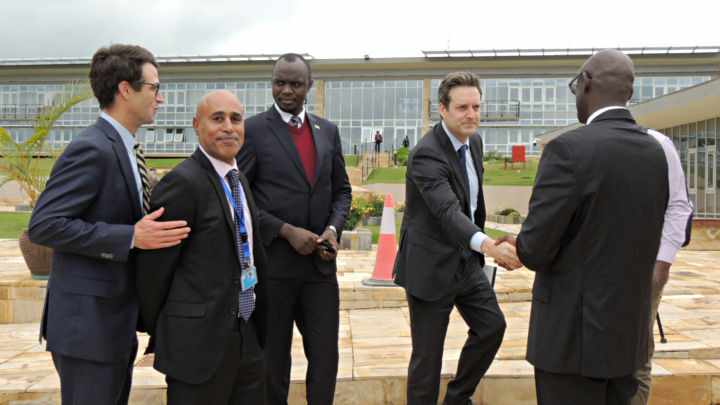 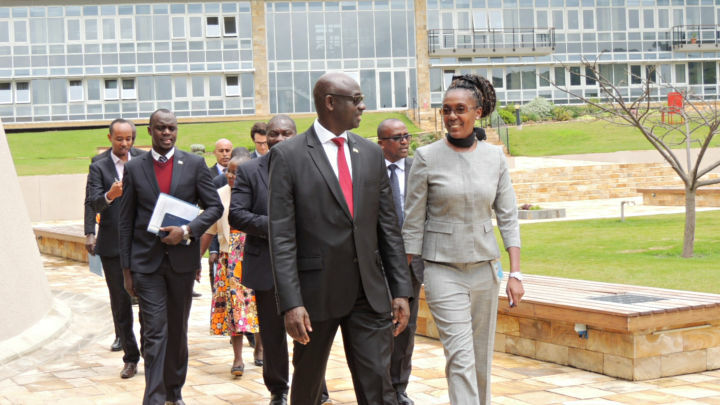 Representatives from the Mechanism warmly welcomed the delegation, thanked the Government of Rwanda for its continued support to the work of the Mechanism and provided a briefing on the new premises of the Mechanism in Arusha. 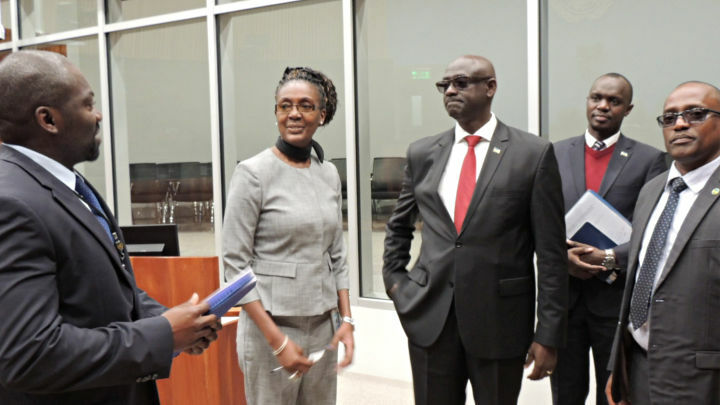 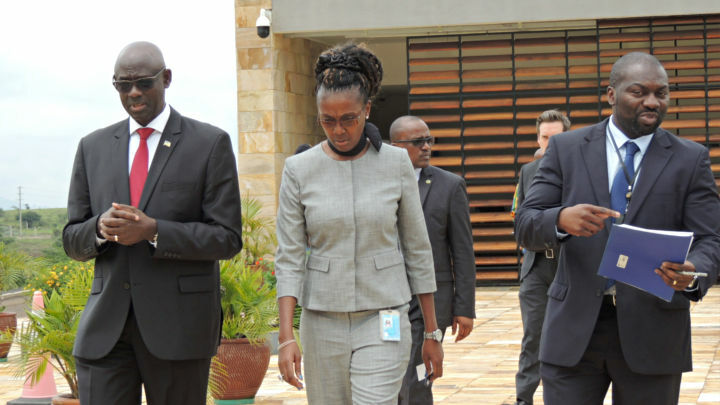 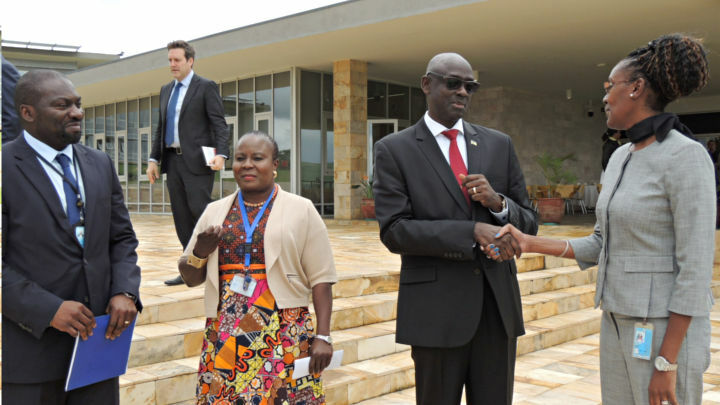 His Excellency Johnston Busingye thanked the Mechanism’s representatives for their hospitality and expressed that despite divergent views, the Government of Rwanda appreciates the ongoing cooperation and candid relationship between the Mechanism and the Government of Rwanda. 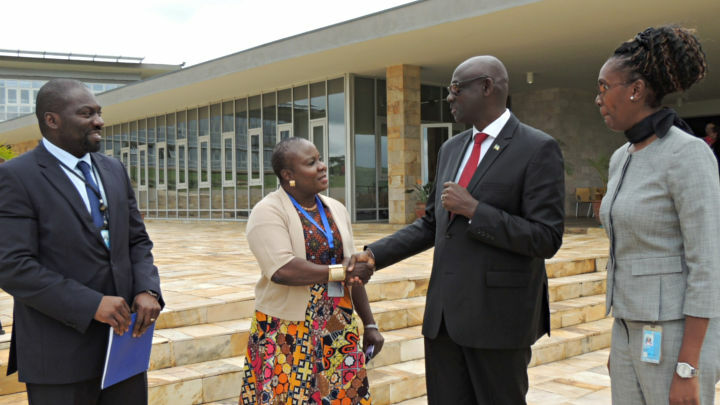 At the conclusion of the visit, the Minister of Justice had the opportunity to tour the courtroom, the archives and the library of the Mechanism.